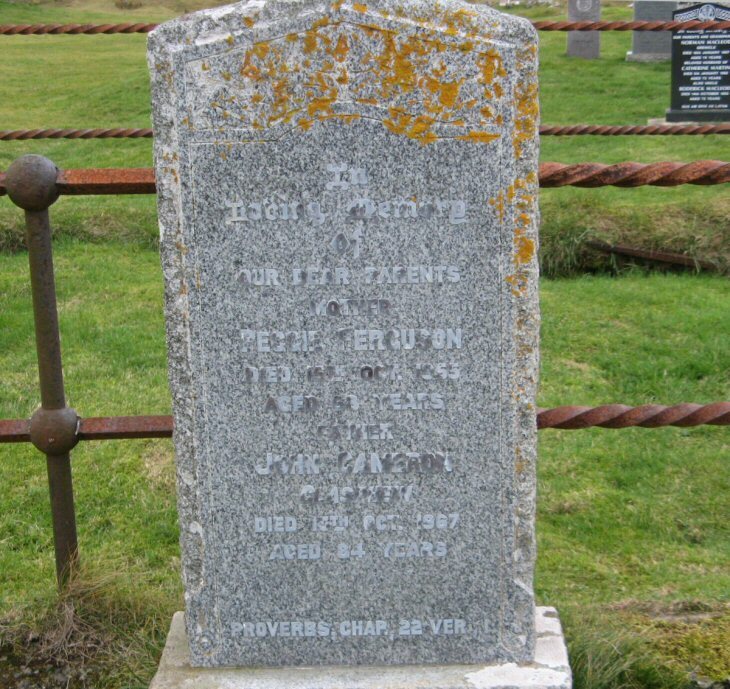 Skye Gravestones | Peggie (Ferguson) & John Cameron. Peggie (Ferguson) & John Cameron. In/loving memory/of/our dear parents/mother/PEGGIE FERGUSON/died 15th Oct. 1955/aged 68 years/father/JOHN CAMERON/Glasphein/died 13th Oct. 1967/aged 86 years. Proverbs Chap. 22 Ver. 1.